The consumer product manager for Sony Vaio laptops in the UK has told TechRadar that the company is still utterly focused on providing a world class notebook for home users, despite a new focus on business. Vaio for business is a huge shift for Sony, with the Japanese giants building ranges of laptops specifically for businesses. But Robbie Duncan, the UK's consumer product manager, insists that this has not detracted from the consumer range, which has been boosted by the arrival of the FW series and the high end Z series. 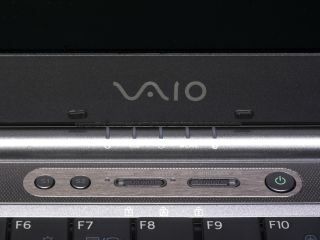 "I think Sony as a company is still very much focused on the consumer side of Vaio," says Duncan. "The decision to split things into business and consumer is a big one but I think, if anything, it adds focus to what the consumer is getting. "If anything, splitting the marketing into consumer and business makes it less confusing for people. "The Vaio is an aspirational laptop, and with the addition of our new X-Black technology on a true 16:9 screen backs up what we have said about this being the ultimate screen experience." Duncan feels that the FW series in particular makes an ideal addition to the home – with the laptop catering for all the family. "Additions like the Blu-ray drive, the 16.4" display – which we think is unique in the market place – and the Dolby Sound Room make this perfect for the family," concludes Duncan.